Prime Minister Dr Mahathir Mohamad will lead the Malaysian delegation to the 33rd Asean Summit and related summits from Nov 13-15 in Singapore. He will be accompanied by his spouse, Dr Siti Hasmah Mohamad Ali, Foreign Minister Saifuddin Abdullah, Economic Affairs Minister Mohamed Azmin Ali and International Trade and Industry Minister Darell Leiking. Officials from the Prime Minister’s Department as well as Wisma Putra and the International Trade and Industry Ministry will also be present. The theme of the summit, 'Resilient and innovative Asean', encapsulates the vision for the bloc to be united amidst growing uncertainties in the global strategic landscape, Wisma Putra said in a statement. Mahathir arrived at 8.40am today in Singapore for an official visit ahead of the summit. His visit to the republic is at the invitation of his Singapore counterpart Lee Hsien Loong, where the two leaders will sit together for the first time for a bilateral meeting, to be held at The Istana. Receiving him at the airport were Singapore Minister for National Development Lawrence Wong, Singapore High Commissioner to Malaysia Vanu Gopala Menon and Malaysian Foreign Affairs Minister Saifuddin Abdullah. A welcoming ceremony will be held for Mahathir at the Ceremonial Plaza, after which he would pay a courtesy call on Singapore President Halimah Yacob. Lee and his wife, Ho Ching will then host an official lunch for Mahathir and Siti Hasmah and then attend the Asean Business Awards 2018 Gala Dinner at The Ritz Carlton. Mahathir is also scheduled to meet the Malaysian diaspora in Singapore at Shangri La Hotel. The summit will also give the leaders an opportunity to exchange views on the future direction of Asean and its conduct of external relations, as well as discuss important regional and international issues, read the statement. The prime minister together with other Asean leaders will also participate in the Asean Plus Three Summit, the East Asia Summit and Asean Plus One Summits with Australia, China, India, Japan, South Korea, Russia and the United States. He is also expected to deliver the keynote speech at the Asean Business and Investment Summit 2018 (ABIS) at Marina Bay Sands. The event will focus on reviewing and identifying issues to facilitate and promote economic cooperation and integration. Meanwhile, Mahathir is also scheduled to attend the 2nd Regional Comprehensive Economic Partnership Summit (RCEP). The leaders are expected to issue a joint statement on the RCEP negotiations and note the report by RCEP ministers to them. 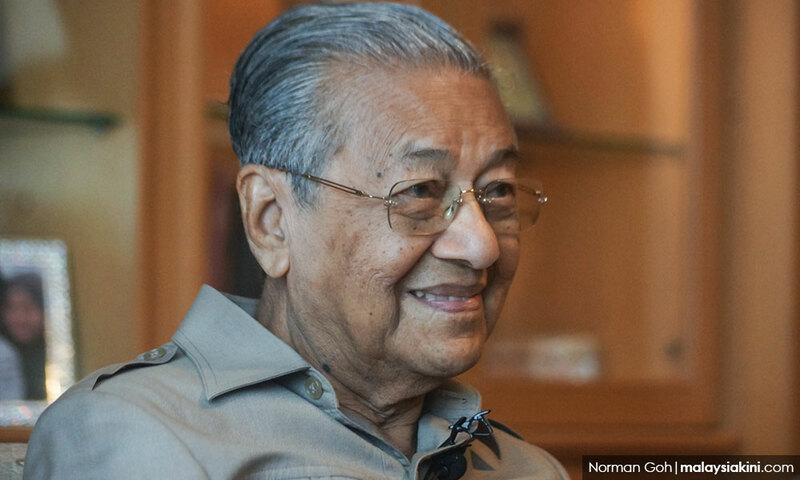 Mahathir is expected to hold several bilateral discussions with his counterparts from Asean-member states and dialogue partner countries on the sidelines of the summits. SIBU: The ruling Pakatan Harapan (PH) coalition at the federal level wants Sarawak to be developed on par with the peninsula, says Deputy Prime Minister Datuk Seri Dr Wan Azizah Wan Ismail. Dr Wan Azizah, who is also Minister of Women, Family and Community Development, said Sarawak is a big state that is rich in resources that could be harnessed to build up its potential for the betterment of its people. “This is what we want for Sarawak. This is what we have promised — we want change and justice for all,” she said at a dinner event with the people last night, in conjunction with her maiden visit to the state since her appointment as deputy prime minister. Also present were Deputy Minister in the Prime Minister’s Department Fuziah Salleh, Julau MP Larry Sng, Miri MP Dr Michael Teo, Johor Bahru MP Akmal Nasrullah Mohd Nasir, and Lubok Antu MP Jugah Muyang. Dr Wan Azizah, who earlier visited a longhouse and attended a briefing on the development of pepper crop in Julau, Sarikei, said despite the backwardness of Sarawak, she was impressed with the people who are hardworking, and the vast areas of fertile land available. She said the onus is on the government to provide the necessary infrastructure and basic amenities including roads, clean water and electricity. Her ministry would also work closely with officers from the Prime Minister’s Department to rectify shortcomings in the E-Kasih initiative for the deserving recipients in Sarawak, including providing allocations, she said. The Pakatan Harapan government will not breach any articles of the Federal Constitution in the ratification of the International Convention on the Elimination of All Forms of Racial Discrimination (Icerd). Bersatu president Muhyiddin Yassin said the government was in no hurry to ratify Icerd, as the matter had to be thoroughly scrutinised so as not to violate Article 153, the constitutional monarchy system, the status of Islam and all the special rights enshrined in the Federal Constitution. “Malaysia is a country of multiple races, religions and cultures, and the Malaysian way of life is different from other countries. "What matters most to us is to maintain the good ties, as well as peace and harmony among all the races in the country,” he told a press conference after visiting the Pagoh Higher Education Hub (PHTP) today. Also present was Education Minister Maszlee Malik and Johor Menteri Besar Osman Sapian. The development of HPTP on a 400ha site was implemented in phases since 2012. It now houses four campuses of public varsities, namely Universiti Tun Hussien Onn, International Islamic University Malaysia, Universiti Teknologi Malaysia and Tun Syed Nasir Syed Ismail Polytechnic. Muhyiddin said Bersatu had also received many inputs from its members who shared their concerns that Icerd ratification would bring about a negative impact on the country. “From the information that we received, the majority of members disagreed (with ratification),” he said. Prior to this, Prime Minister Dr Mahathir Mohamad was reported as saying that Malaysia would only ratify Icerd after negotiations with all ethnic groups, and that it was not an easy matter because Malaysia is a country of multiple races which have their own particular interests. 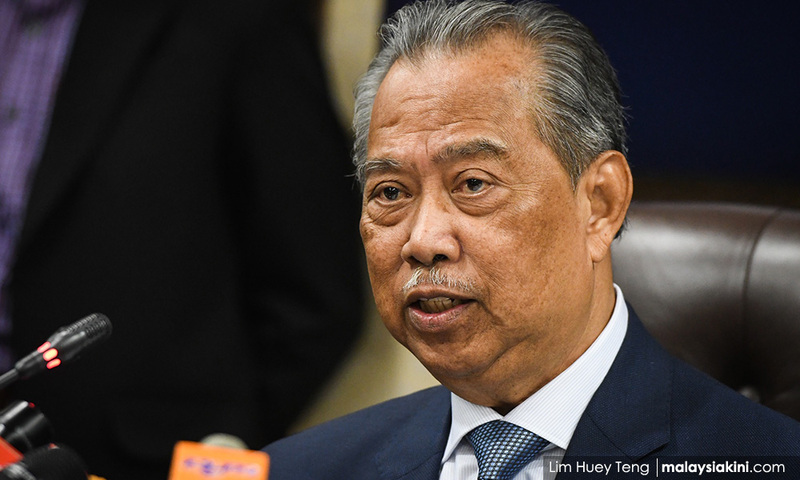 Meanwhile, Muhyiddin, who is also home minister, said at least one bill to amend or abolish a law under the purview of his ministry would be tabled in Parliament before the end of this year. He said the laws include the Security Offences (Special Measures) Act 2012, Prevention of Crime Act 1959, Peaceful Assembly Act 2012, Sedition Act 1948 and those involving the death penalty. “A committee has been set up to carry out a review on all those acts to determine what should be amended or abolished,” he added. Klik link dibawah untuk mendapat bahan-bahan kempen PAKATAN HARAPAN antaranya BROCHURE, FB PROFILE, HASHTAG, STICKER, PANDUAN PENGUNDI, VIDEO dan AUDIO. Ini adalah satu kempen memberi peluang dan ruang buat Netizen untuk berkongsi hasil karya masing-masing untuk di muat naik pada halaman rasmi Pakatan Harapan ini. Setiap karya yang diterima akan dipaparkan buat tayangan dan juga dikongsikan buat umum. Isikan maklumat berikut untuk menerima maklumat terkini berkaitan dengan Pakatan Harapan.